Nim Suzani (half-size Suzani) from the second half of the 19th century, probably made in Bokhara, Uzbekistan. 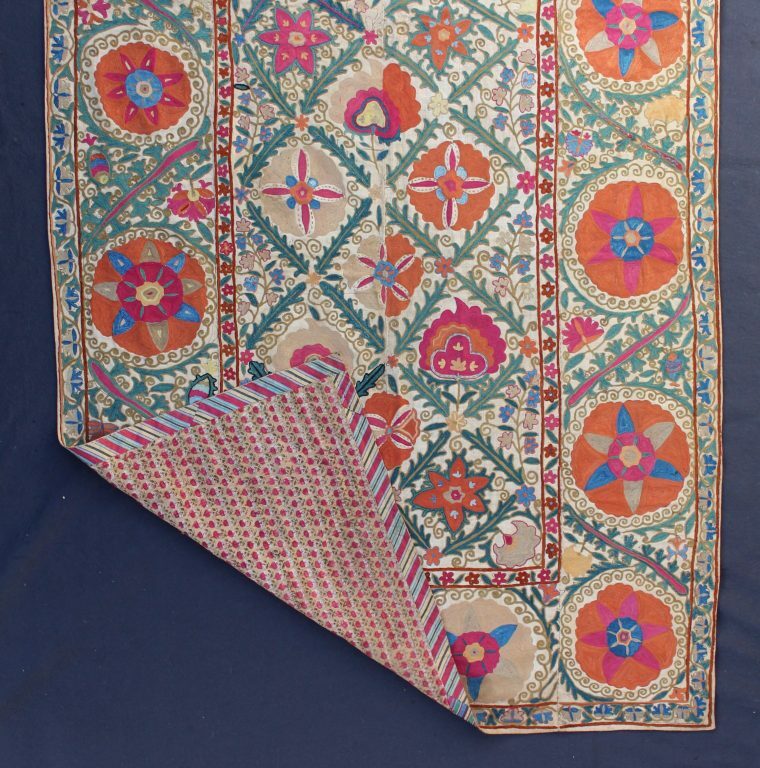 The silk embroidery on relatively coarse and dark, hand woven cotton is worked in four panels. The field design is a diamond-shaped lattice of long palmettes enclosing circular, fan-shaped and star-shaped blossoms, with the main border depicting a meander of similar, long palmettes around large circular flower heads, interspersed with smaller blossoms of different shapes. The palmettes in chain stitch are slightly coarser than the very fine silk embroidery of the flower heads. 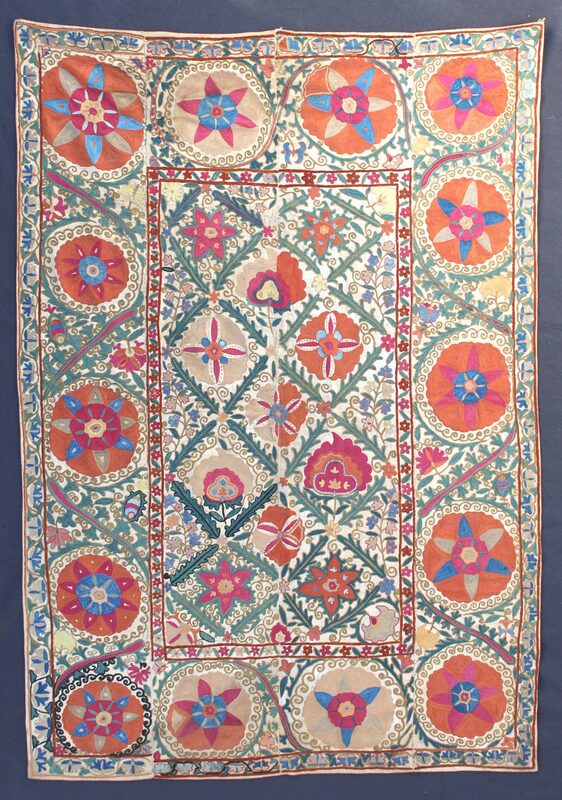 This Suzani is backed with contemporaneous central Asian printed cotton which is edged with bias-cut silk.